So I have wanted to get into reloading for a while now. I bought a .300 Win Mag that is pushing me closer to it. Today I went to the new Cabela's near me and bought a reloading manual that was on sale, Nosler's guide #7. I may have made my first reloading mistake. 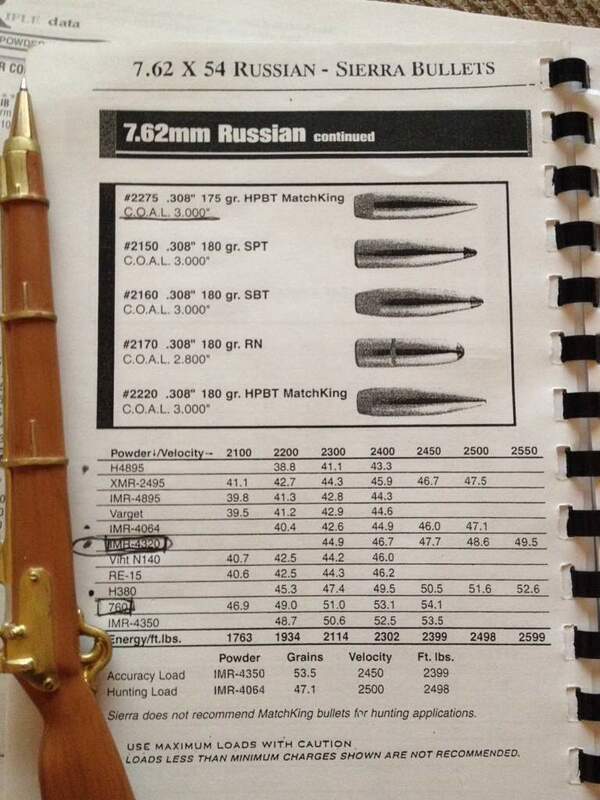 I bought a manual that doesn't even cover 7.62x54R. I couldnt have checked though, since all their books are plastic sealed and also not returnable once the seal is broken of course. Oh, well it was only $20. To prevent more mistakes, I thought I would ask for some opinions and or specifics from you guys who reload already. Is there a press that it better regarded than others for a total newbie to reloading? I like the idea of a progressive press, but cheaper is better at this point. I plan on starting with rifle calibers, but possibly pistol in the future. Are there differences in the presses? What kind of press do you use? DO you need to pick a brand and stick with it or can dies and other parts interchange? I was thinking of buying a pound or 2 of powder for 7.62x54r & .300 win mag. Is there a good suggestion that would work in both? Thanks for looking, feel free to add any other helpful tidbits you have out there too. 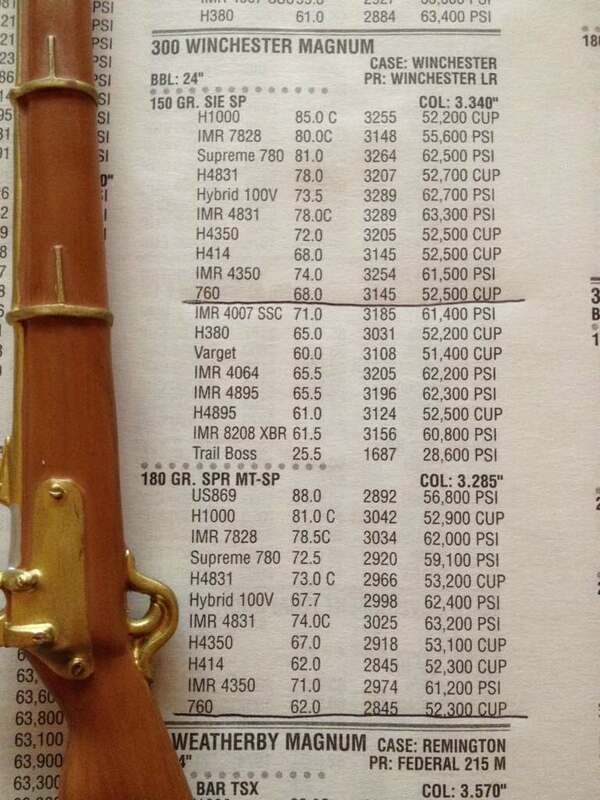 Winchester 760 is perfect candidate! SUPER CLEAN BURN! 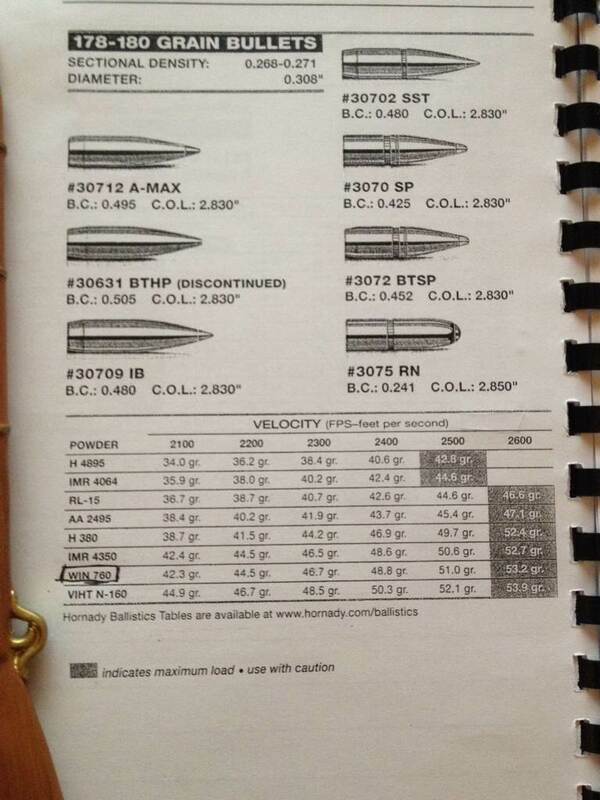 This is official info from Basic reloading manual. Give me a sec, I'll post some data from a book I use. WIN 760 for 7.62x54r 175 gr Sierra HPBT MatchKing bullets COAL 3.000"
Hornady Bullets 178-180 Gr 7.62x54r COL : 2.830"
760 WIN - 68.0 gr 3145 FPS 52.500 CUP COL: 3.340"
760 WIN - 62.0 gr 2845 FPS 52.300 CUP COL: 3.285"
The Lyman and Hornady books have Mosin reloading info. I have both but more reloading books is always better. I would not say you waisted money. 20$ is cheep. That's not a bad price for a book. They aren't cheap. I just use a Lee book that I got in like new condition off of ebay for $5 and free shipping. It's an ok book. I need to get a Siera book because I use lots of their bullets and their data is hard to find. Hodgdons reloading Data page online is a great resourse for load data. I use it pretty regular. I myself would use IMR4350 powder. It will get you much higher velocity out of the Mosin and only sacrifice a little in the 300. I'm sure it won't be long before like the rest of us you start getting specific powders for specific guns. There really isn't a magic powder that shoots well in all of them because different caliber/case capacities need different burn rates to maximize the guns potential. I would stay with an "O" style press over a "C" style. The "C" style can flex under the pressure required to do magnum cases and cause inconsistencies. The Lee Challenger Kit is a great kit at a great price. $107 on sale at MidwayUSA right now. I use nearly every piece in the kit religiously. Thread size it the same on most popular brands of dies so that's not a real big issue. There are a few brands that have odd thread sizes. RCBS, Lee, Hornaday, Redding and a few others are all interchangable. I personally like the Redding dies best, RCBS second and Lee 3rd. They are the only brands I own so I can't speak for the others.